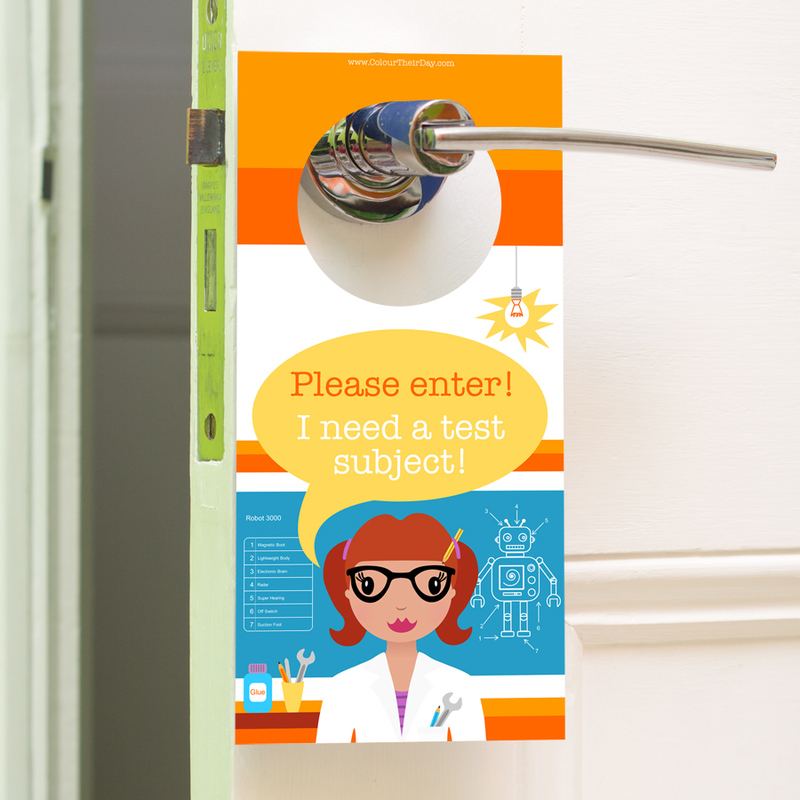 This inventor girl door hanger is brilliant for a girl who is very smart and likes to think she is a bit of a genius! It’s fun, quirky and vibrant colours make it a perfect gift, that will brighten up her bedroom decor. The door hanger is double sided so is very thick and robust. 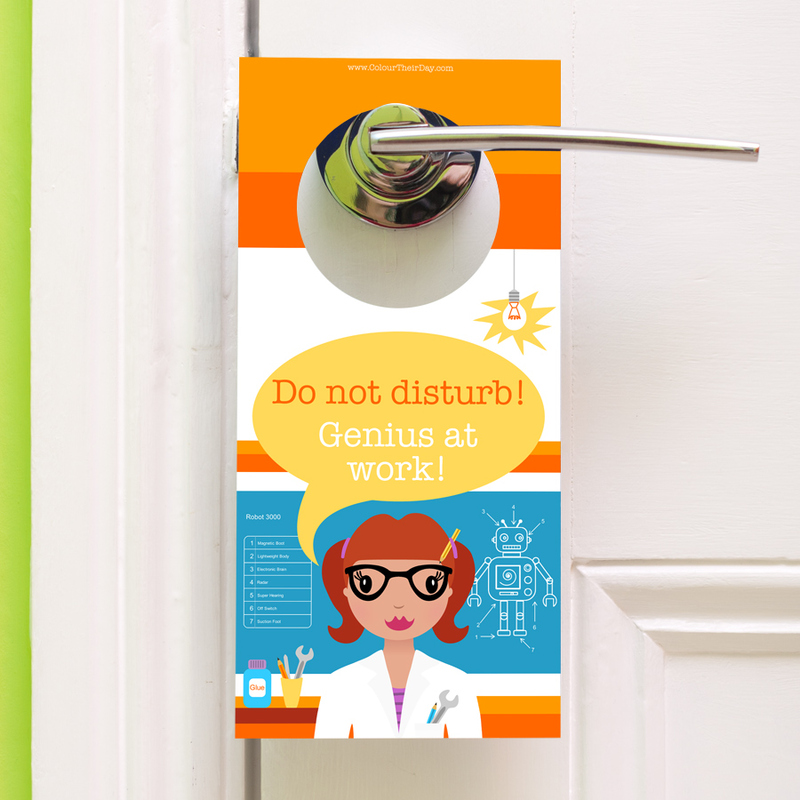 The design features a clever girl inventor, with the text ‘Do not disturb! Genius at work!’ on one side and ‘Please enter! I need a test subject!’ on the reverse side. Girls can display the relevant side, depending if they want company or not! Be the first to review “Inventor Girl – Double Sided Door Hanger” Click here to cancel reply.